Question: We have what I like to consider a normal Jewish home. However, my kids really resent Shabbos, and it has become a depressing day. My kids (ages 7 through 14) want to “dress down” and hang out with friends. My oldest son is the worst of them all; I’m actually really worried about him. He hates the meals and everything Shabbos-related. Is there anything I can do? Answer: Ouch. Just reading your question hurt me. The short answer is, yes, there are things you can do. However, it’s not a quick solution. If you look at Shabbos from a kid’s perspective, it can be overwhelming. They watch their parents using their phones and other devices day and night, and can’t understand why everything has to be turned off. It also means sitting with their siblings for a long meal (possibly with guests), a much longer davening, and no electronics. One of the hardest parts about your question was the fact that your oldest son seems to be having a negative influence on the younger ones. That can be frustrating. 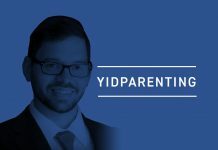 As one mother put it: “I love my oldest son with all of my heart, but sometimes I just want to . . .” The good news is, you can do things to make Shabbos more exciting. I heard from my rav that Shabbos is a mirror of your soul — it reflects back what you invest in it. 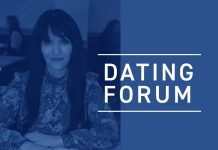 Do you and your husband enjoy Shabbos? It’ll be pretty hard for you to get your kids to love Shabbos if you aren’t excited about it yourself. So, what’s amazing about Shabbos? You can spend a day getting closer to Hashem. Incidentally, these are the very things that many children dislike about Shabbos. As they grow older, get married, and begin working, they will appreciate Shabbos a whole lot more. Since you mentioned that your oldest child is 14, I’m guessing that getting him married now is not an option. Let’s look at some things that might show him how awesome and special Shabbos really is. Please understand that every family is different. What works well with you might not work with your friend, and vice versa. I wouldn’t follow all the items listed below in one week; it’s trial and error. Get excited for Shabbos. A few hours before, make sure you’re ready and be upbeat. Offer each of your kids to pick one dish that they want you to cook or buy. While guests are always nice, maybe some family time would be a better option. Keep the meals short and sweet. Is your minyan very long? Maybe take your boys to a quicker minyan for a few weeks. It’s not easy for many kids to sit through three hours of davening. Enlist help from your child’s rebbe or teacher. They might be able to have a class discussion about it which can really be helpful. Does your child want to leave the table? Make a deal with him/her. If you participate for the first half-hour, you can leave anytime afterwards. Singing Shabbos zemiros shouldn’t be an argument — make sure to sing with a smile, and the kids will eventually join in. At our house we like to play a game during which the children pick a subject (parashah, music, Jewish history, or sports) and then they pick a level (1 being easy, 5 being super hard). Each child gets a few turns, and I make up the questions. ShabbosMevorchim? Make a special dessert. It really adds something special to Shabbos. Shabbos is a great time for snacks, treats, and kid-friendly foods. Introducing new fancy foods that you want your kids to try? Not such a great move. Letting your kids have friends over is fantastic — if they’re going to be good influences. Shabbos is not a great time to try out friends who might not enhance your special day. It might help to make your home a “kosher hangout” with ices, Shabbos snacks, etc. Buy your kids a new book once in a while (preferably a Jewish one). Put it under their pillows and tell them about it at the end of the meal. Try to include him in conversations. If your son brings up the Mets or Yankees, don’t say, “We’re not discussing sports on Shabbos!” Engage him in the conversation, and then casually bring up Pepsi Meyers. If your oldest is making things difficult, it’s OK to let him go elsewhere for Shabbos once in a while (a friend, grandparent) so you can focus on the other kids. You’re not getting rid of him — you’re each getting a much-needed timeout. Remember that Shabbos is not supposed to be a battle. Basically, it’s all about making Shabbos great again. With love, a big smile, and loads of patience, you will iy’H begin to see results. Hatzlachah — and have a great Shabbos! Rabbi Yitzie Ross is a well-known rebbe and parenting adviser. 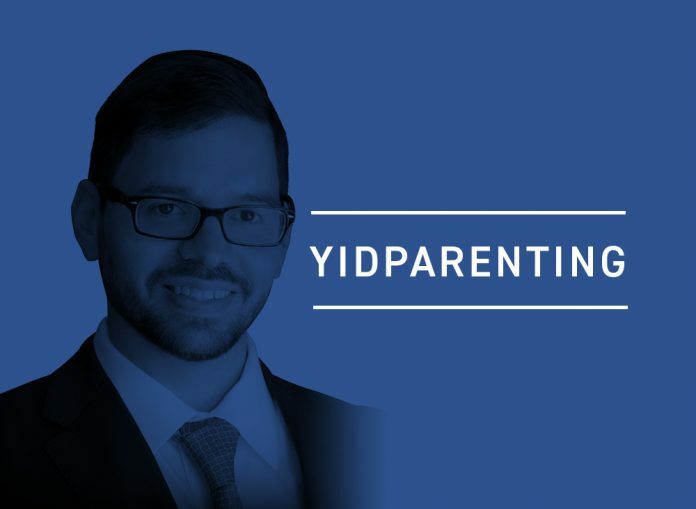 To sign up for the weekly emails and read the comments, visit YidParenting.com.